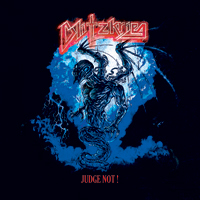 It has been always hard to judge a live-recorded album when considering the post-processing and the possible re-recordings to make everything sound perfect. However, and contrary to the studio recordings, making this perfect, kind of defeats the purpose of having a live album. Nowadays, with the digital recording, it is quite easy and, most importantly, cheap for a band to make a live-recorded album sound pristine. So, unless it is something special, I kinda look the other way and prefer to go to a concert and get a first-hand taste of how a band sounds live. 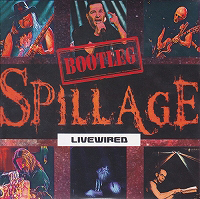 In the case of SPILLAGE’s “Bootleg Livewired” it was the other way because I had first seen the new SPILLAGE lineup onstage, and therefore, getting this CD was my chance to confirm what I was thinking during the set. The dark and haunting chords that open “Echoes Of A Silent Scream” set a creepy mood right away. This one is definitely both darker and more brutal than MANTICORA normally are. 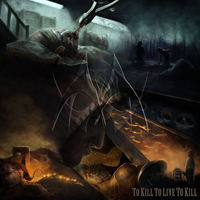 But at the same time, there are a lot of fine details to the music on “To Kill To Live To Kill”. How emotions are captured to portrait the story... Yes, there is a very dark and uncanny concept backing it all up, written by Lars F. Larsen and published as a well-worth reading novel. Ok, some countries are not known for producing Heavy Psychedelic Rock bands in a steady and regular pace (if not at all), and Italy belongs to this category. 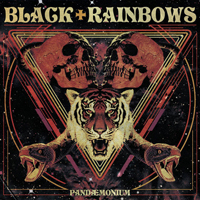 But Roman trio BLACK RAINBOWS has established already a high-energy fuzzed-out Psych Rock release tradition, with most recent “Pandaemonium” marking their sixth full length offering in over 10 years of existence, and somehow this is huge for a newbie band in this oversaturated, smokin’-soaked scene.